Message from Fr. Paulo Kosaka O.F.M. Cap. 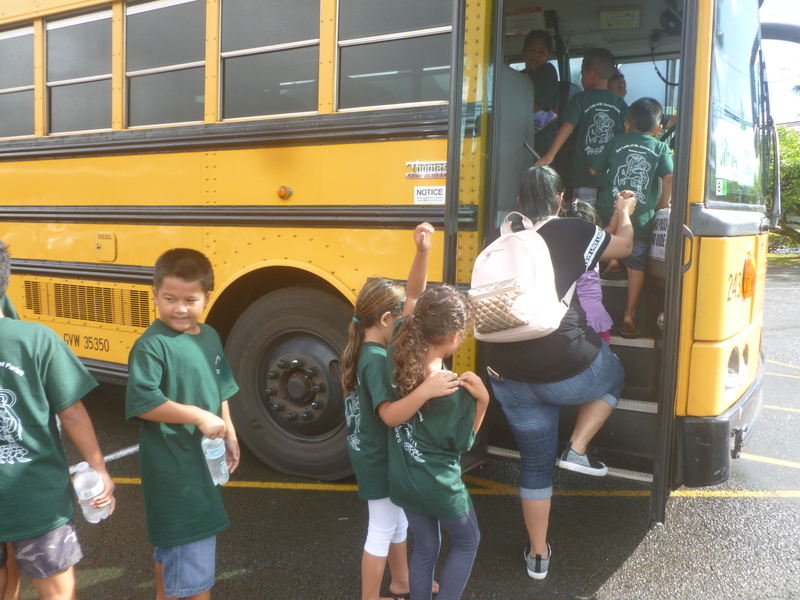 Aloha and welcome Parents, Guardians and Grandparents to our 2016 ­ 2017 Faith Formation ­ CCD Year! 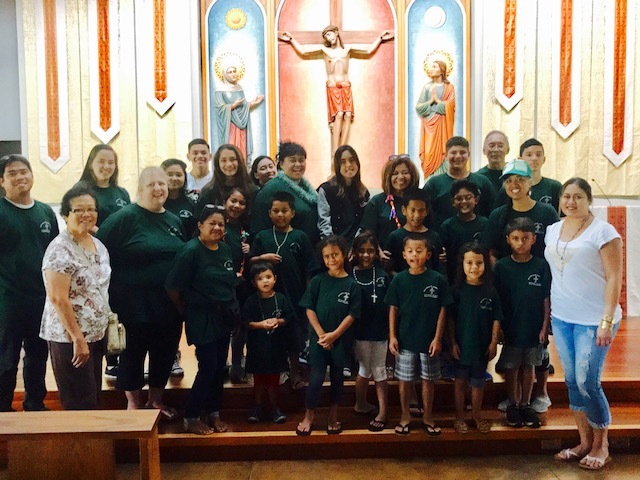 Truly our parish has been blessed with parents, guardians and grandparents devoted to the well­being and the spiritual growth of their children in the Catholic Christian Faith. 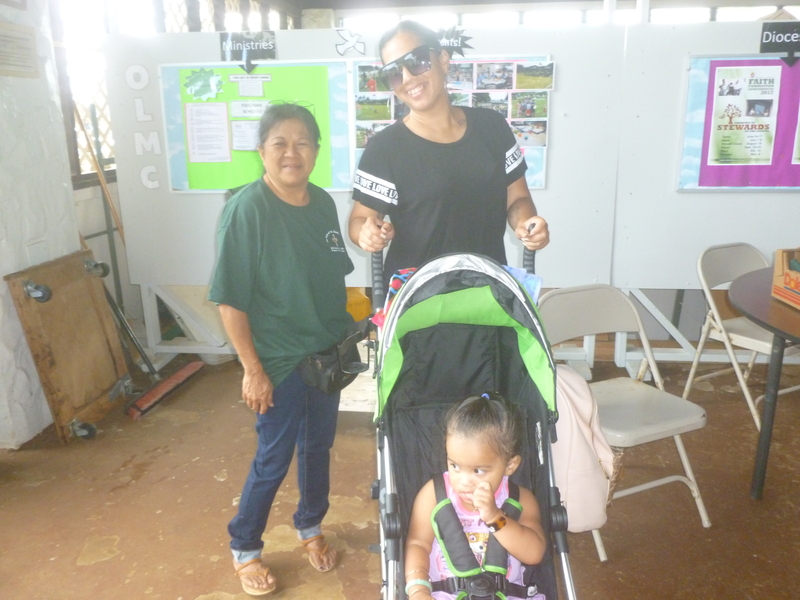 With your presence and active involvement, we are assured of the continued success of our parish Faith Formation ­ CCD Program. Vatican II Council recognizing this truth explicitly stated; “The Family is the Domestic Church, the first church.” You have the opportunity and the empowerment to guide and assist your children to grow in their precious Catholic Christian Faith that will remain as an anchor of strength and stability for the rest of the lives of your children. 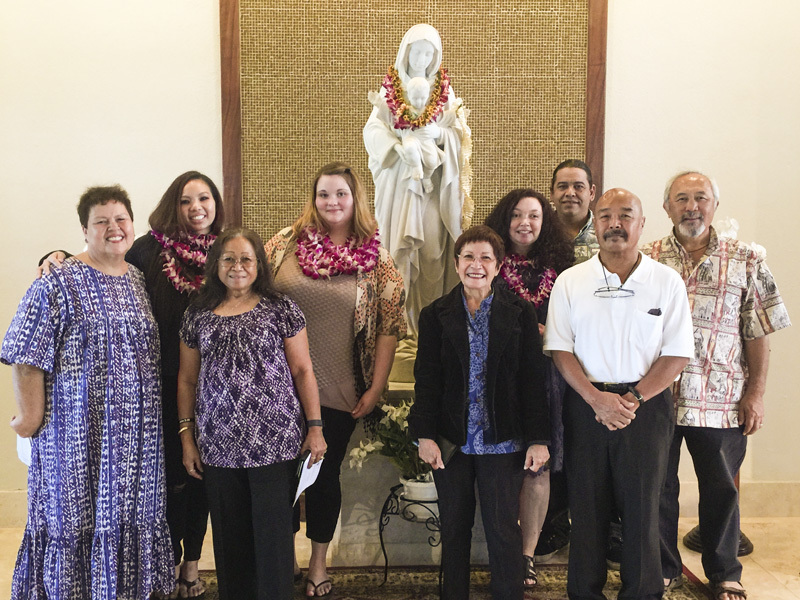 Truly your part in the parish Faith Formation ­ CCD is not only vital but indispensable. 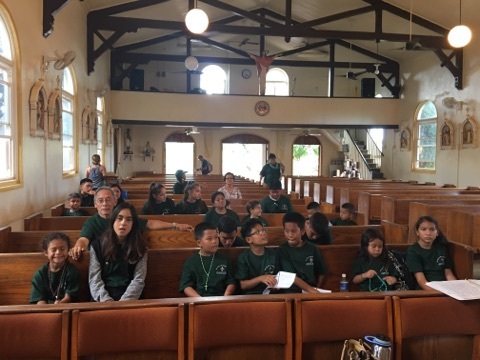 Your role in living the Catholic Christian Faith as the primary teacher of your children and grandchildren will leave a lasting legacy in their lives! What an awesome and important role you have! To assist and most of all to “echo” the Teachings of the Catholic Christian Faith handed on by the Apostles as they were instructed and sent by our Lord Jesus Christ; “Go therefore make disciples of all nations…” Matthew 28:19, we have been privileged every year with dedicated Catechist teachers and Catechist aides who not only teach and “echo” the Teachings and rich Traditions of our Catholic Faith, but they themselves strive to live out the Faith so that they can share the “living Faith” with your children. We here at the Parish of Our Lady of Mount Carmel are partners with you in this great endeavor and grace year of Faith Formation ­ CCD Program. 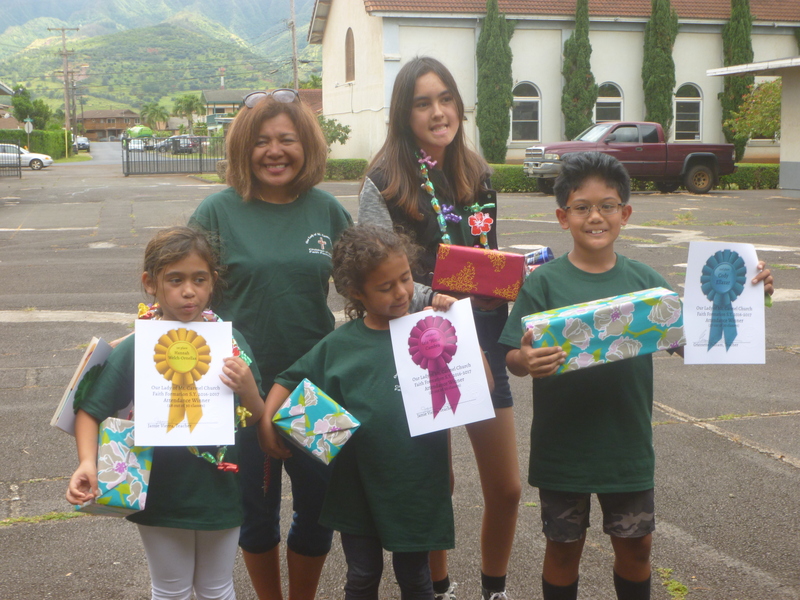 Again, on behalf of all the Catechist teachers and aides, mahalo nui loa for striving to live out your Catholic Faith with your children by enrolling them into our Faith Formation­CCD Program. If there are any concerns or requests for assistance, please do not hesitate to call me or to talk with me. I will be more than happy to hear from you. May God bless you always; Our Patron, Our Lady of Mount Carmel, pray for us. Fr. Paulo Kosaka OFM, Cap. 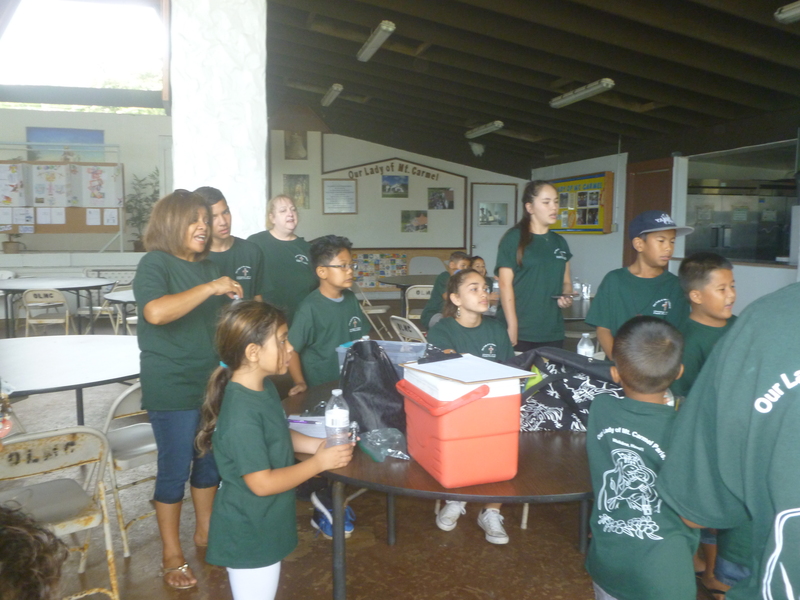 Aloha parents and students of Our Lady of Mount Carmel CCD Faith Formation 2016-17 Program. 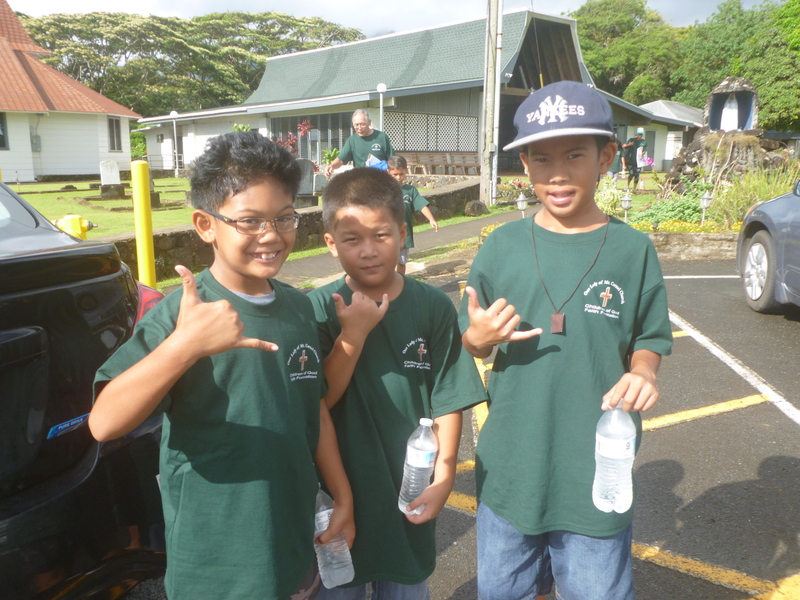 Welcome and Mahalo for being a part of this year’s CCD program. We are excited to begin our new year working with your children and ensuring that we are providing them with the basic doctrines of their faith. 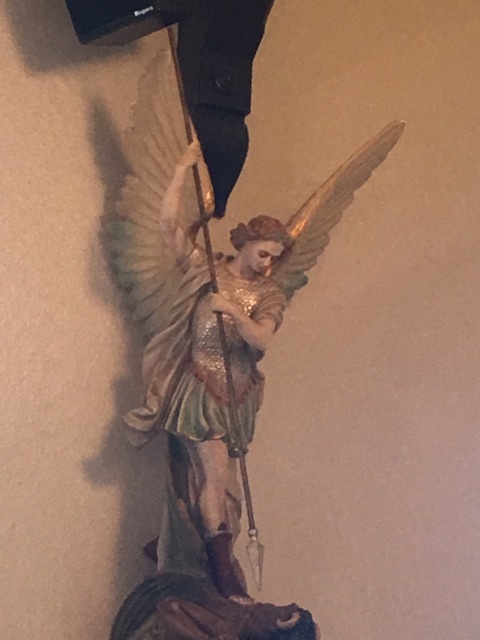 As we begin our program, our team of dedicated teachers will work closely and diligently with your children in meeting the goals and objectives of this year’s Faith Formation. In order for your child to learn and grow in their faith, we ask for your support to ensure that your child attend CCD on a regular basis. 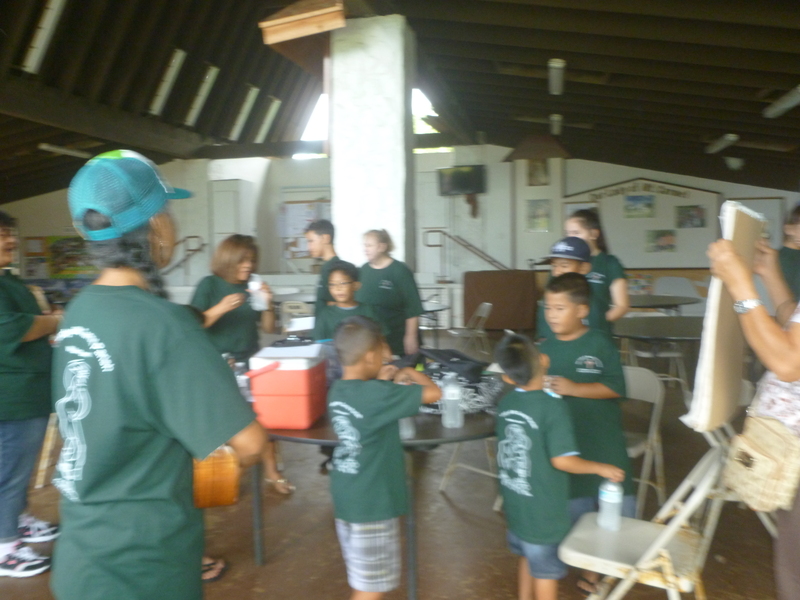 We are committed to your children and look forward to working with your Ohana. 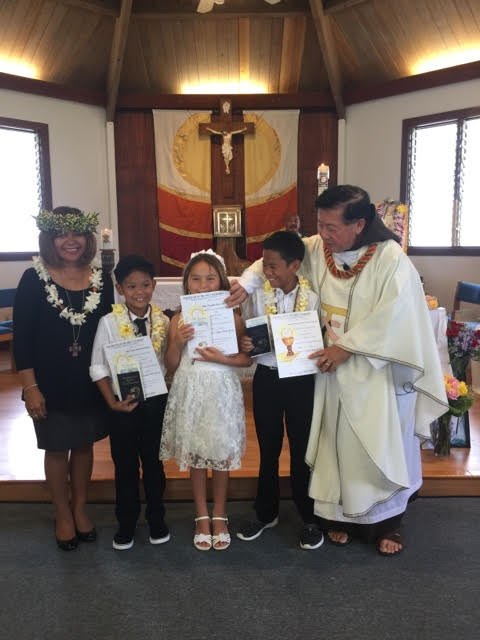 HO’OMAIKA’I – CONGRATULATIONS to OUR FIRST COMMUNICANTS!!! 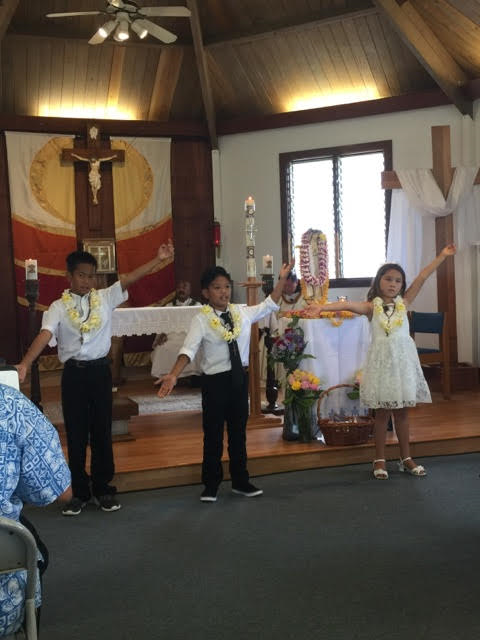 We extend our congratulations to the following First Holy Communicants; CODY ELLAZAR, ZOEY FLEAGLE and KAWIKA VIDAL, JR. who received the Body and Blood of Our Lord Jesus Christ for the very first time today! 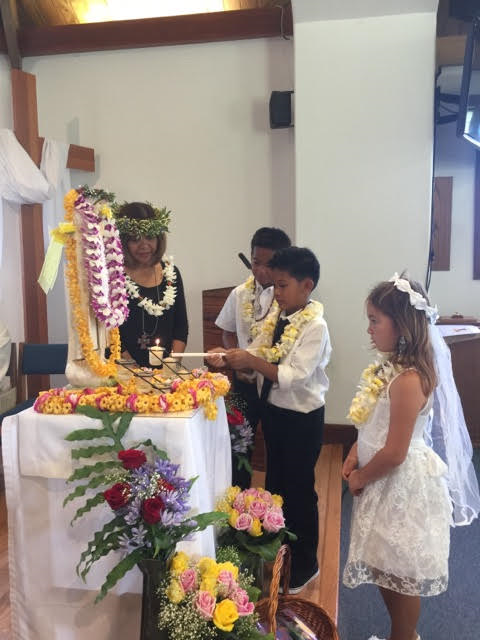 We also extend our mahalo nui loa to GRANNETTE PULLIAM our First Holy Communion and First Reconciliation teacher for the great work of instructing and preparing them all to this wonderful day! 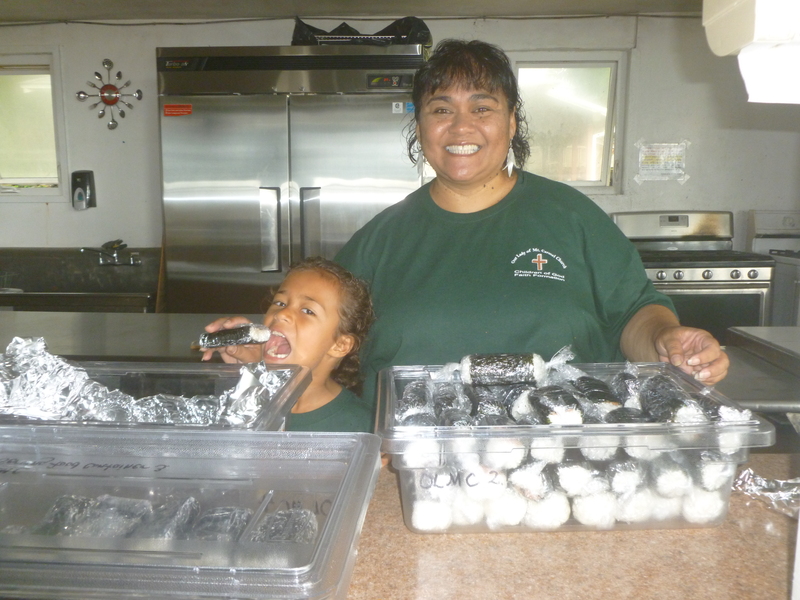 It is not an easy task to prepare the children for this very special day. 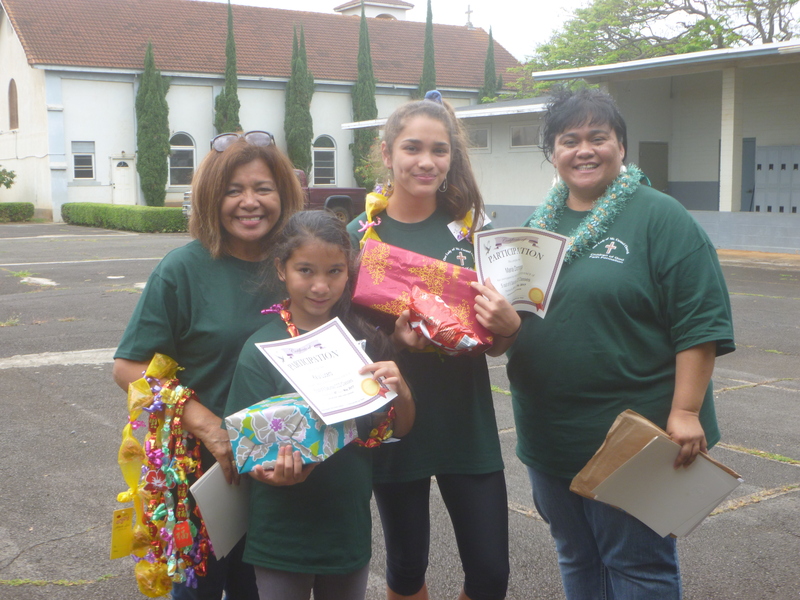 It took may days and extra time to instruct, inspire and lead the children on the path to be a First Holy Communicant. 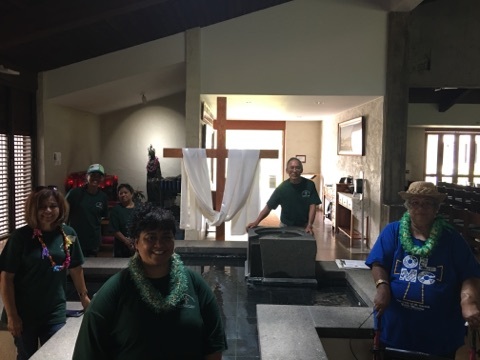 OLMC FAITH FORMATION PILGRIMAGE, May 20, 2017...St Roch, St. Michael's (Waialua), and St. John Apostle & Evangelist (Mililani)! Our Religious Education (Faith Formation) school year 2016-2017 is accomplished! We had such a great and fruitful Sunday School Year!!! The blessing of being in our New! Administrative Building and having classrooms after the years of holding class several areas on parish grounds, was the most obvious of all blessings from God bestowed upon all here at OLMC. 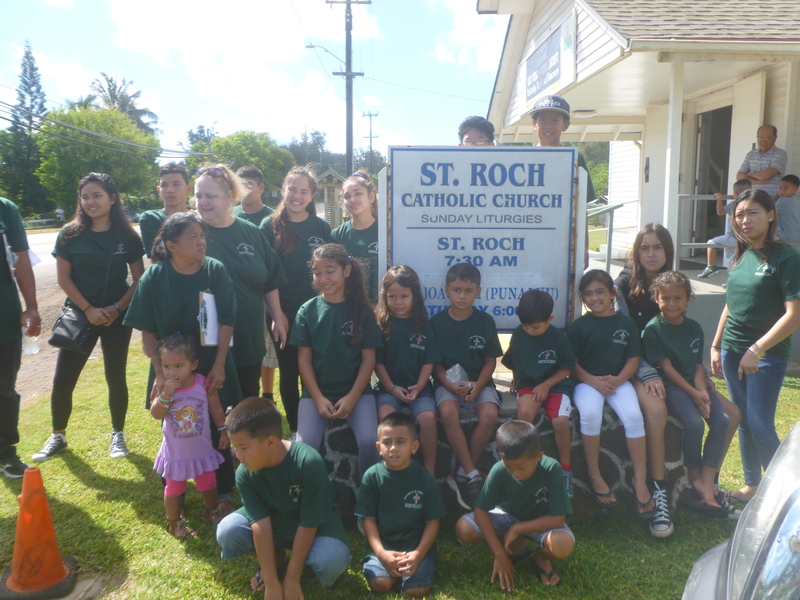 We concluded our school year journey on a pilgrimage to St. Roch in Kahuku, St. Michael’s in Waialua, and St. John Apostle & Evangelist in Mililani! 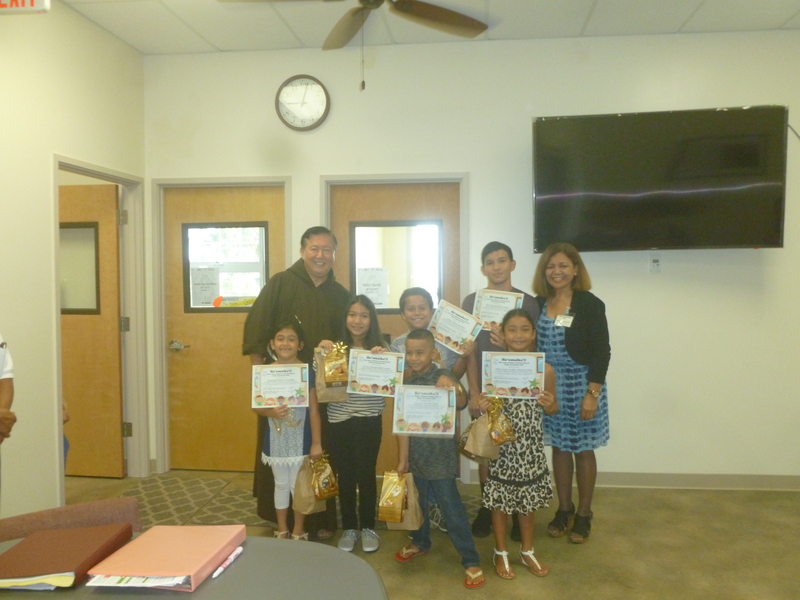 We were so excited on Saturday, May 20th and had such a wonderful time together, meeting new people, priests, awards assembly at St. Michael's and much more!!! 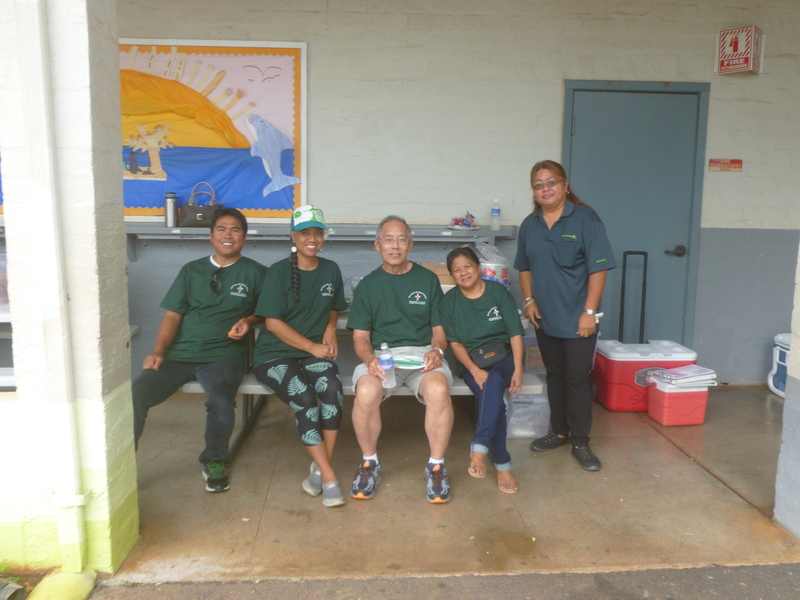 Our wonderful lunch of 200 musubis', L & L garlic chicken, onoliciuos fruits, homemade cookies from Aunty Stephanie, salad, soft drinks, and goodies! Note: We truly missed having the spirit of Fr. Paulo around with us that day both in mind and body as he was hung over with a terrible flu...we prayed for his quick recover, thanking Jesus! ....this is how we roll, Our Lady of Mt. Carmel style! Thank you, Jesus for this wonderful journey! 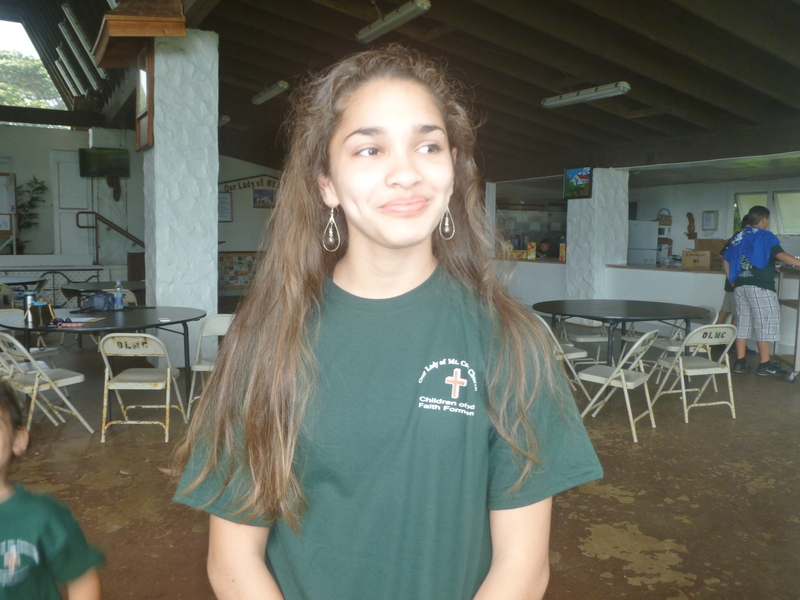 We extend our Congratulations to TALIYA KINNEY HEGWOOD on her reception of the Sacrament of Confirmation today! We welcome our main celebrant for the mass Most Rev. Msgr. Gary Secor who bestowed the Sacrament of Confirmation. 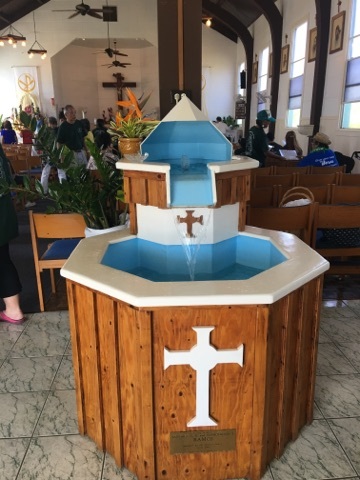 Being the part of the sacrament of initiation with Baptism and First Holy Communion, upon the reception of Confirmation, a Christian completes the initiation into full communion with the Church, the body of Christ. 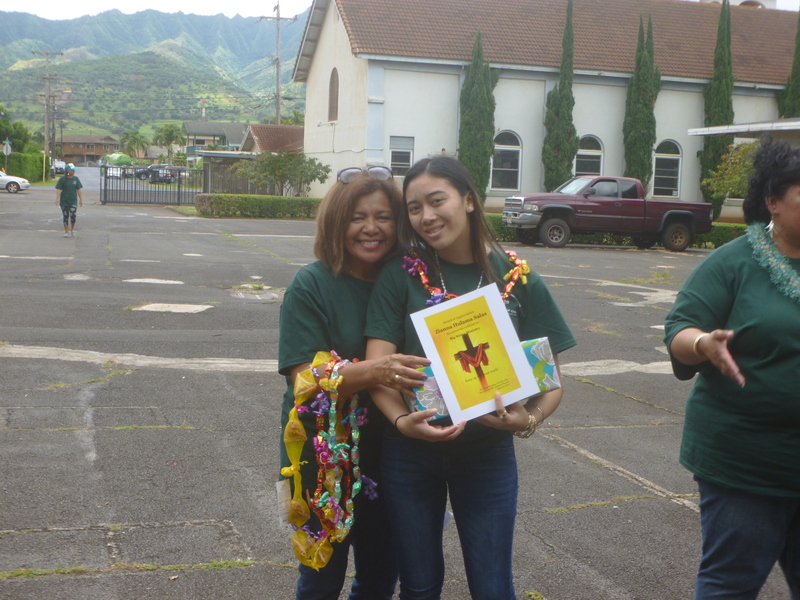 Mahalo to Rey Granadillos our Confirmation teacher and Shirley Chargualaf our Faith Formation Coordinator for their dedication that brought TALIYA KINNEY HEGWOOD to this very special day! 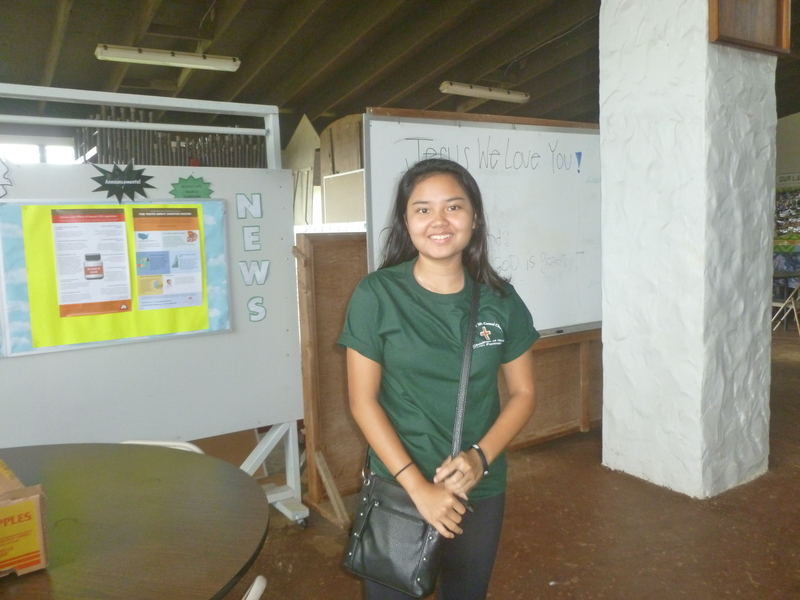 We rejoice and congratulate Taliya’s parents Lehua and Justin. 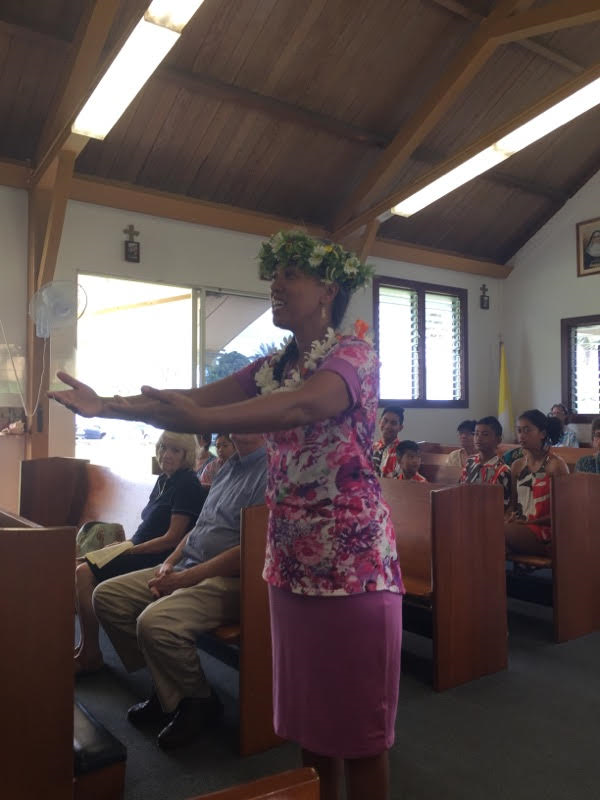 Here are some of the activities and gatherings shared among the ministry of our Faith Formation / CCD Sunday School...take a look! Fr. Marvin, Dcn. John, Chief Shepherd Bishop Larry, Fr. Paulo and the OLMC Altar Servers at the 7AM Mass...October 16th, 2016 when Fr. 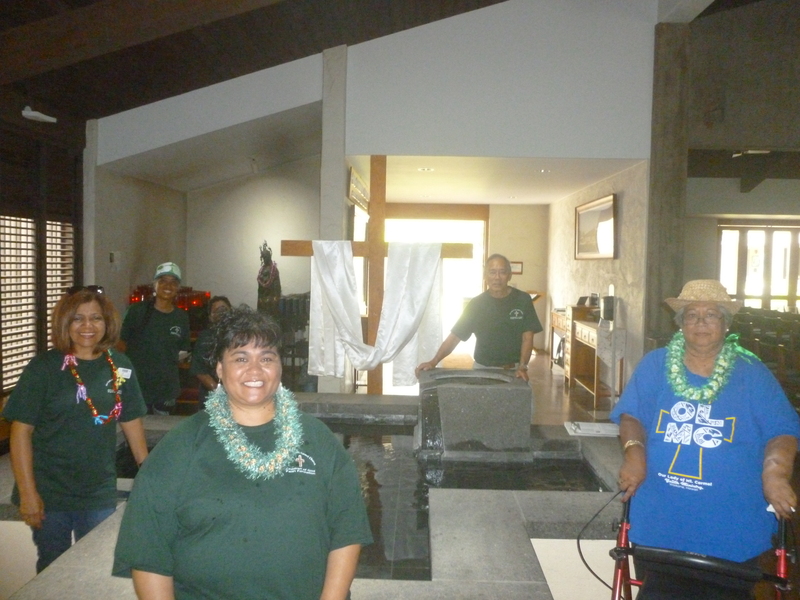 Paulo Kosaka OFM, Cap was installed by Bishop Larry...Ho'omaika'i to Fr. Paulo our Pastor and Good Shepherd of OLMC! 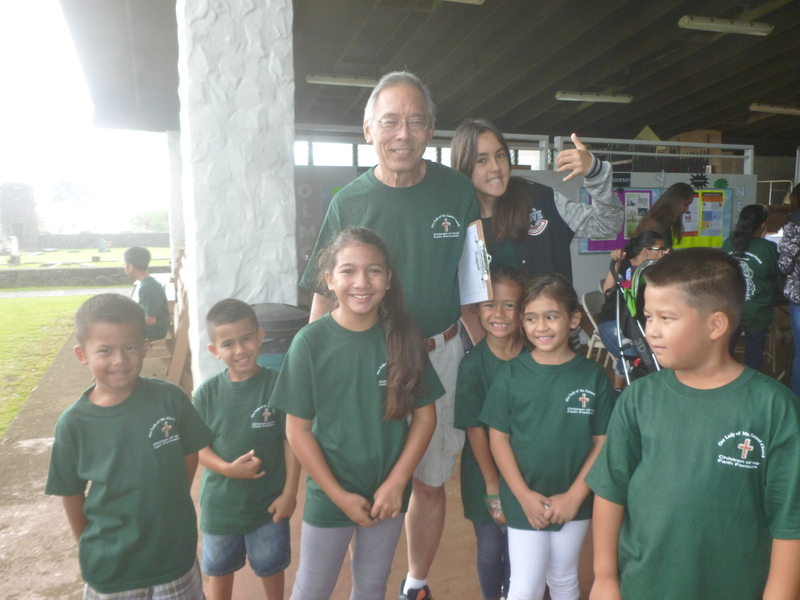 Bishop Larry Silva spending time with our keiki's! 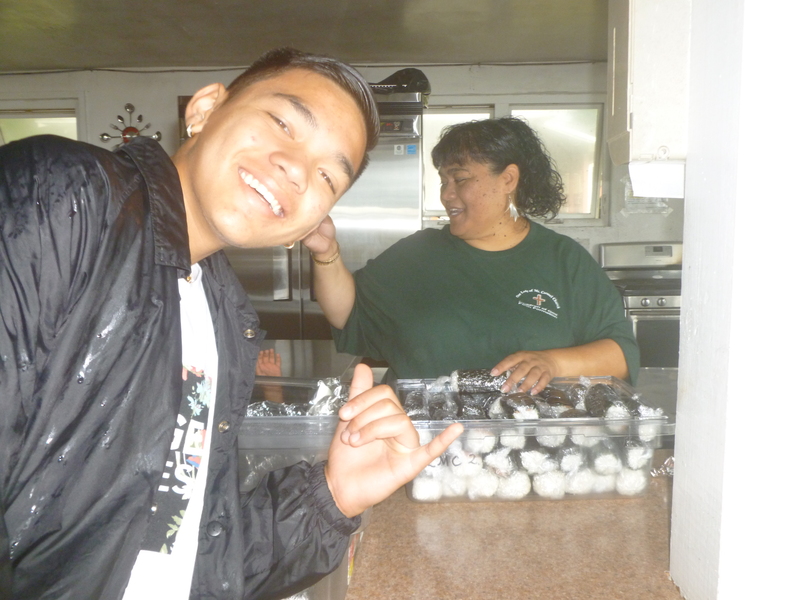 October 16th's practice at Hale 'O Malia...with Bishop Larry! 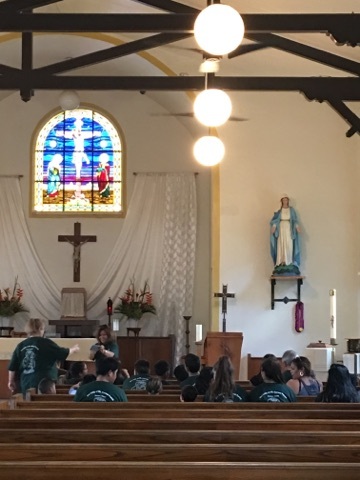 Aunty Grannette practicing with our CCD students/youths for Bishop Larry's visit to OLMC... October 29th Faith Formation CCD taking part in saying the Holy Rosary. 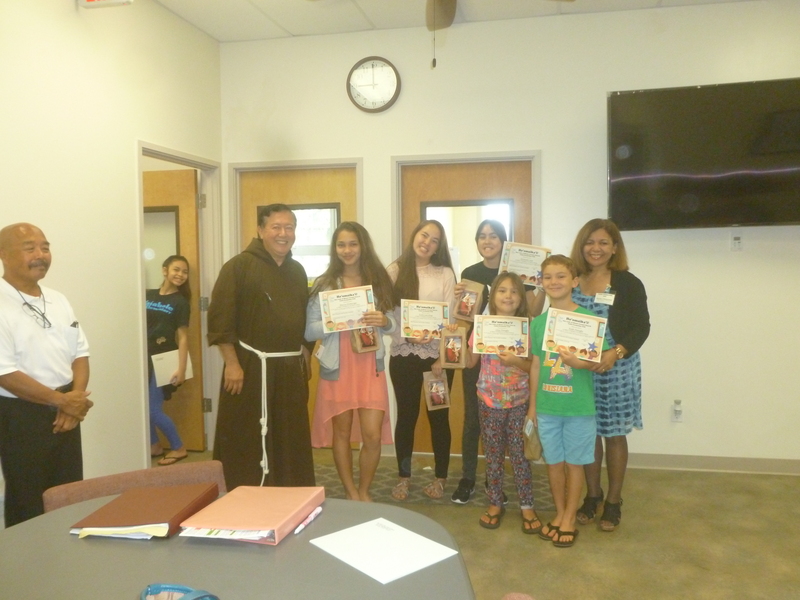 October 29th CCD Saturday class working on All Saints/All Souls activity...it was fun! 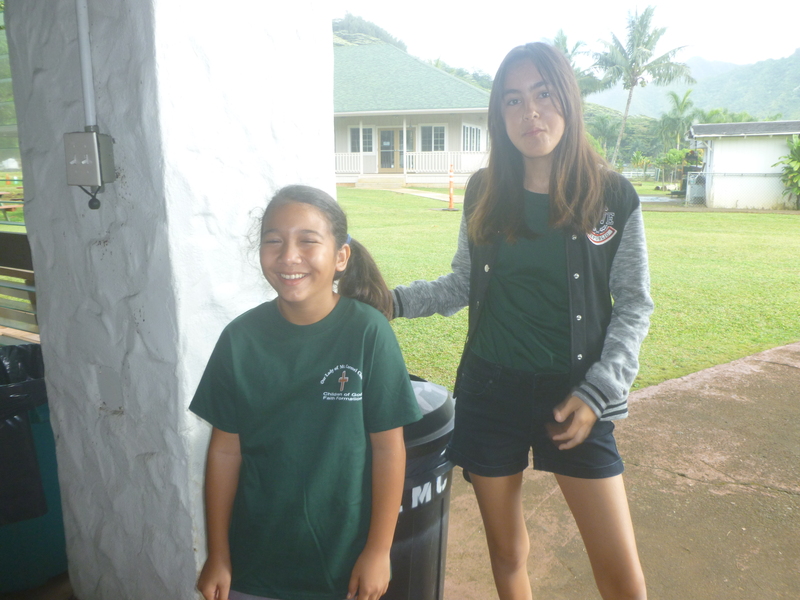 Saturday, October 29th CCD Class...lunch time! 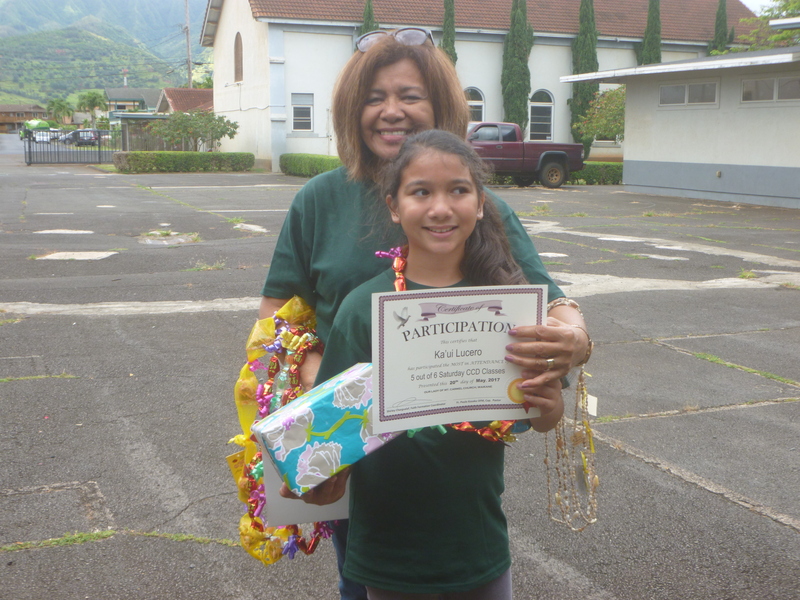 Month of October Perfect Attendance...Ho'omaika'i to all of them! 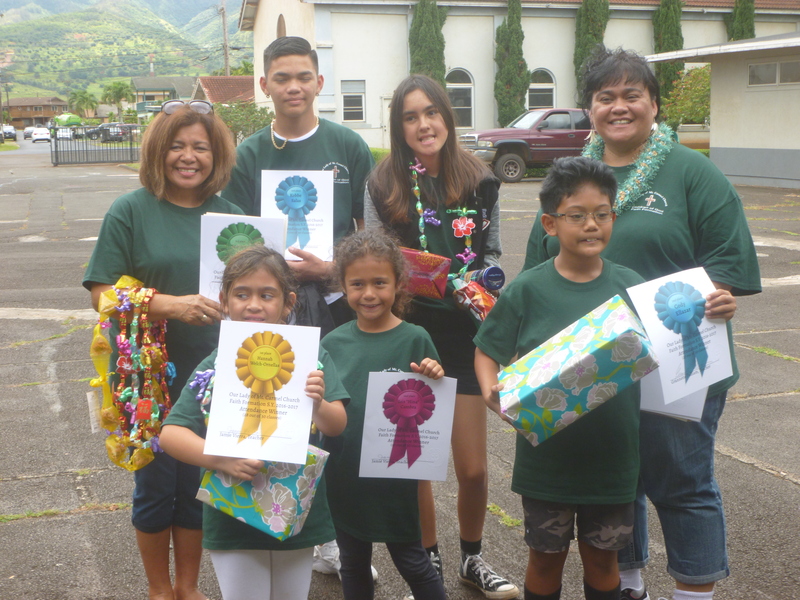 Ka'ui Chargualaf Lucero, Mary Ann "Sushi" Shores Salas, Cody Ellazar, Kayson Shores Salas, Tru Souza, Kobbe Salas, and Zianna Hulama Salas! 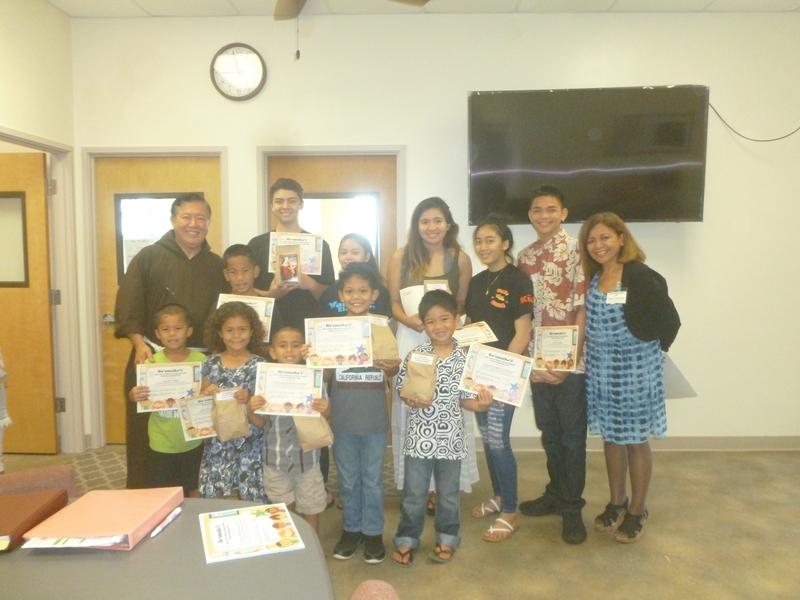 Front (L to R): Lucas Manipon Padeken, Hina Cambra, Iymara Cambra, Kayson S. Salas, Mary Ann "Sushi" S. Salas, Cody Ellazar 2nd Row (L to R): Ka'ui Chargualaf Lucero, Hannah Welch-Ornellas, Hoku Cambra, Tru Souza, Kekoa Snowden, Sandra Whitfield 3rd Row (L to R): Chase Murray, Kobbe Salas, Zianna Hulama Salas, and Kala'i Souza! God bless you all and keep up the attendance record! Thanks be to God. JANUARY & FEBRUARY 2017 PERFECT ATTENDANCE STUDENTS!!! CONGRATULATIONS TO ALL OF YOU! WE ARE SO PROUD OF YOU...KEEP UP THE GOODNESS...PRAISE THE LORD! JANUARY PERFECT ATTENDACE FEBRUARY PERFECT ATTENDANCE WHAMMY! JANUARY & FEBRUARY!!! On March 25th the students / teachers / parents worked in their GARDEN OF FAITH, HOPE... AND LOVE! 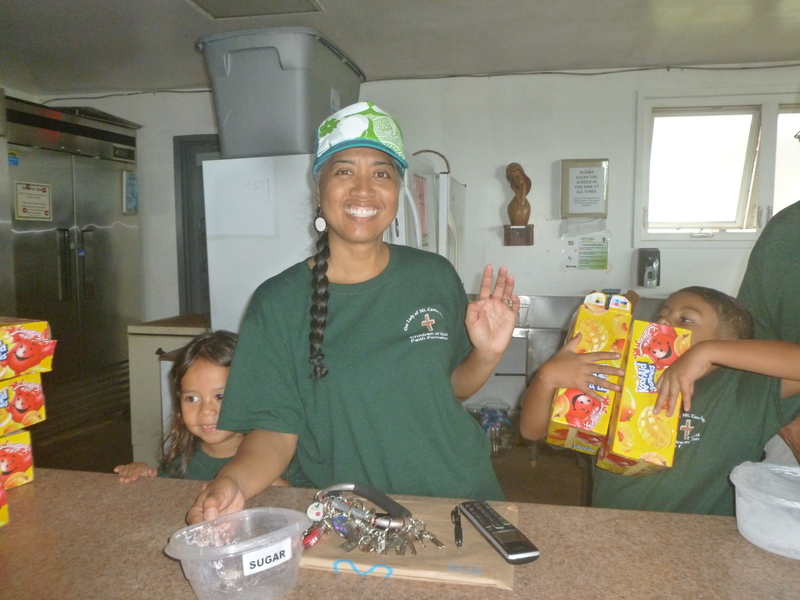 Pre-Kindergarten's with Teacher, Rosemary Crosson taking a break! 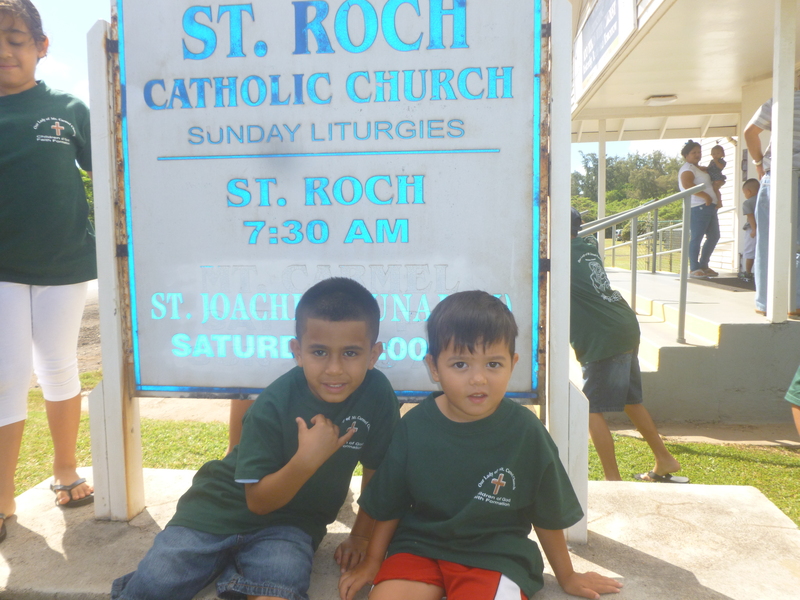 Pre-Reconciliation & Pre-Holy Communion Class with Teacher, Jamie Vierra...chillin' in the hot sun! Waiting for the snack call! Reconciliation & Holy Communion Class with Teacher Grannette Pulliam...taking instruction from Mrs. Grannette! ...and here they are! 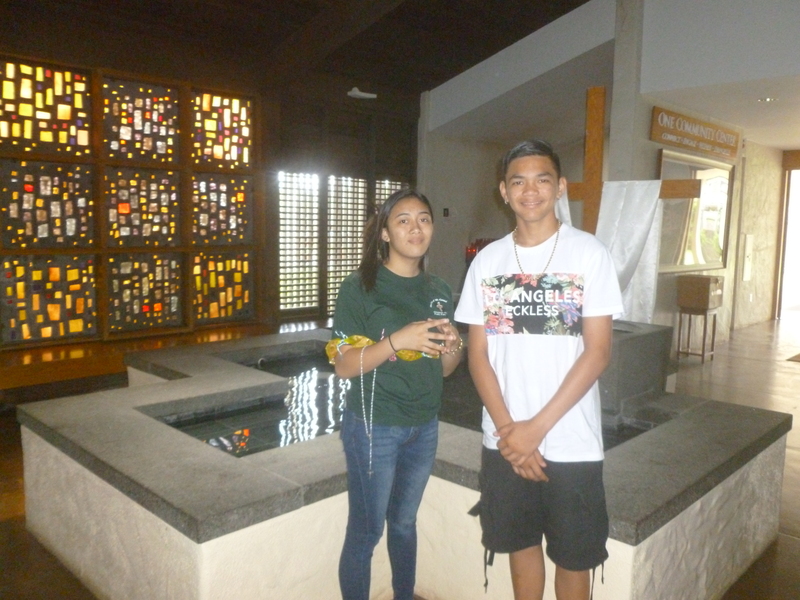 The OLMC FAITH FORMATION GARDEN OF FAITH, HOPE, AND LOVE.